Acharya Vinaya Singhal was born in a leading business family and was initiated into Spiritualism in 1980 by Swami Ishwar Das ji Maharaj, the ace disciple of Brahmaleena Swami Shree Satyananda Saraswati ji. Right since childhood Acharya Vinaya had special interest in Dhyan, Japa and Tapa etc. By the time he entered adolescence his curiosity in Spiritualism, Vaastu-Shashtra, Astrology and Numerology became so intense that along with his university education he also studied deeply these occult subjects. His abounding interests and talent made him display his knowledge through shows and other means which won him recognition in this field and he was awarded the honorific title of ‘Acharya’ by the ‘Akhil Bharatiya Jyotish Sangha’. Acharyaji’s researches and investigations made him receive many honorific titles. He accorded due importance to the reality over the superstitious and collective conventional belief. 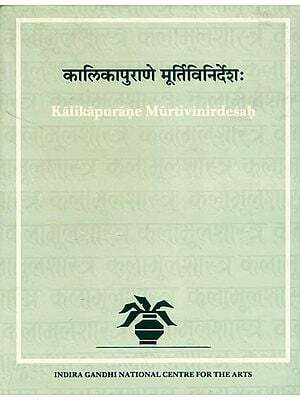 In this volume Acharya ji has vividly descried one of the most important parts of Hindu culture, the origin of Goddess Shree Mahakaali, her many potent and success-ensuring mantras, Mangal strotra, her thousand names and her ‘Kali Chaleesa’ with a telling effect. We hope that this book would fill the (readers) life with peace, happiness and prosperity. The great Goddess Mahamaya, instinct in every bit of the entire universe and its controller, has illimitable power and energy. The Mother Goddess of the world is also the presiding deity of the entire creation. The worship of her various incarnations enhances the worshippers’ power and the wicked receive due punishment. 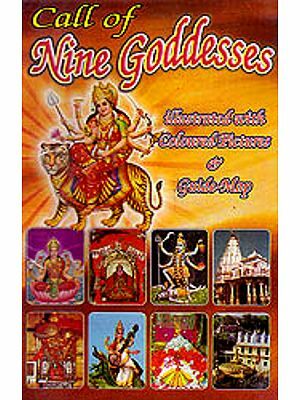 The invocation of the Nava-Durgas (the nine forms of Mother Durga) bestows on the devotee great rewards and fulfils all his or her wishes. According to the Hatha-Yoga, the nine openings of the human body are believed to be the nine power centres of this Goddess. The eight arms of the Mahadevi (Great Goddess) represent the five basis elements (Pancha Mahabhoota) and the three basic attributes (viz. 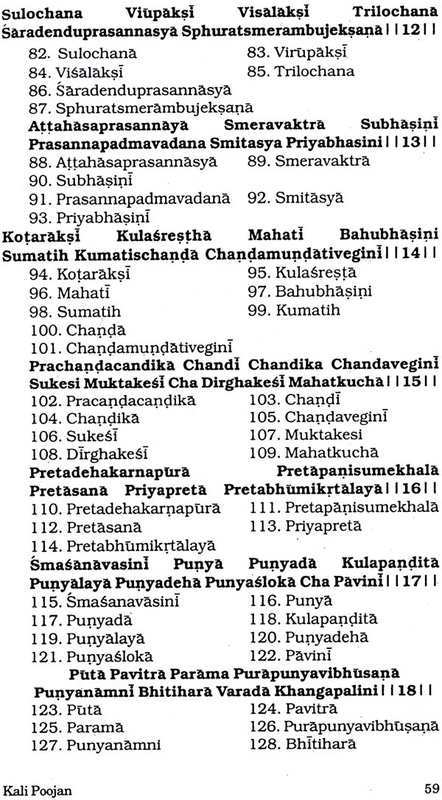 the Sattvika, Rajasika and Taamasika) of nature. The Great Goddess’s every incarnation is linked with the Tantra Shastra, which also reveals her supreme glory. (1) In Lord Mahadeva’s (Shiv’s) Mahakaal incarnation she is associated as Mahakali. (2) In Lord Mahadeva’s Taarkeshwara incarnation she is associated as Bhagawati Taara. (3) In Lord Mahadeva’s Bhuvanesh incarnation she is associated as Bhagawati Bhuvaneshwari. (4) In Lord Mahadeva’s Shodash incarnation she is associated as Shodashi. (5) In Mahadeva’s Bhairava incarnation she is associated as Bhairavi. 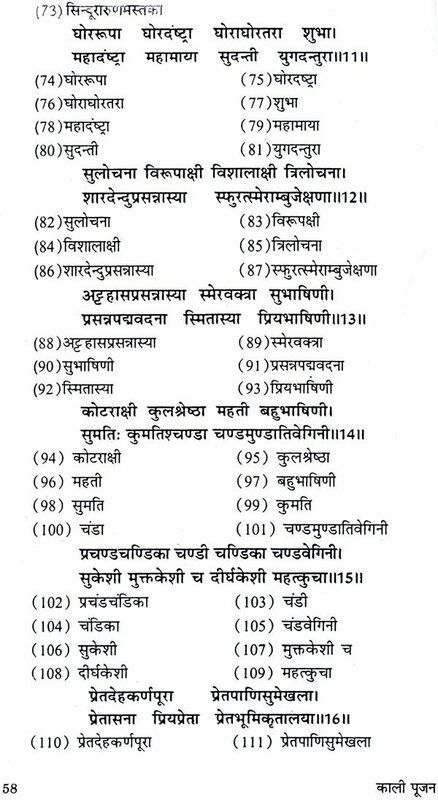 (6) In Mahadeva’s Chhinnamastaka incarnation she is associated as Chhinnamasta. 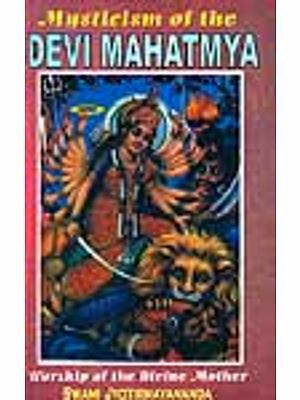 (7) In Mahadeva’s Dhoomravaan incarnation she is associated as Dhoomavati.